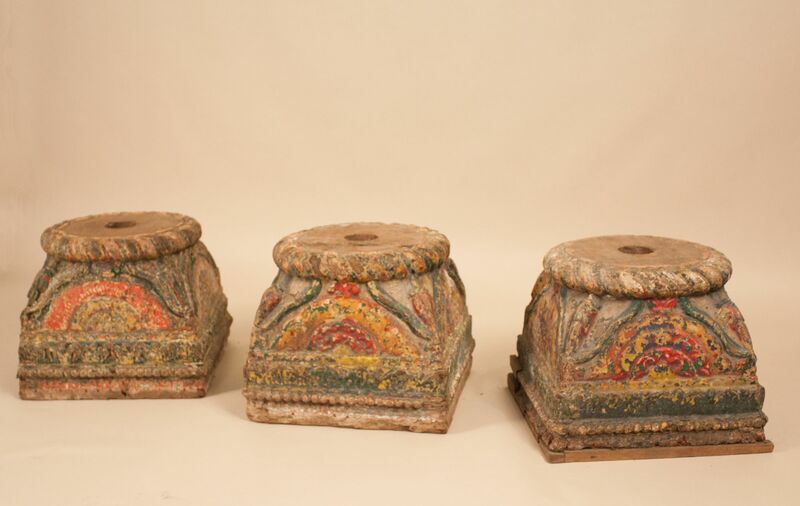 A set of three 19th century column supports that likely graced the courtyard of a haveli, or mansion, in Gujarat, India. 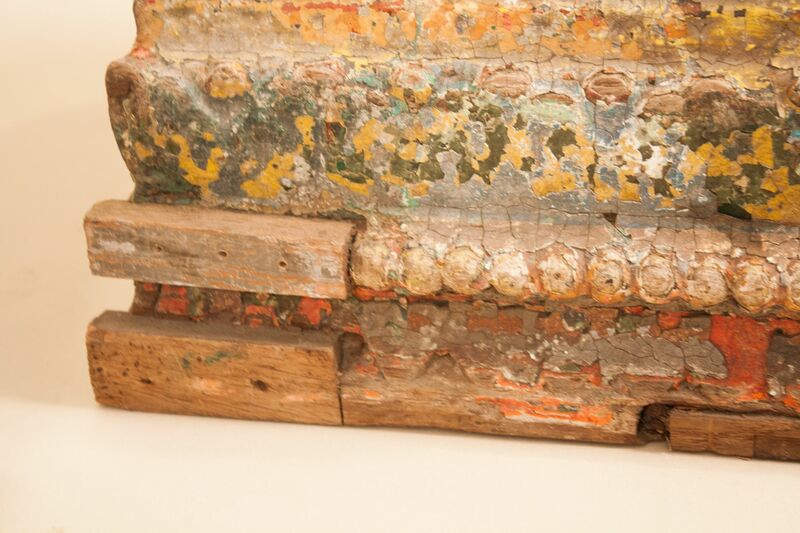 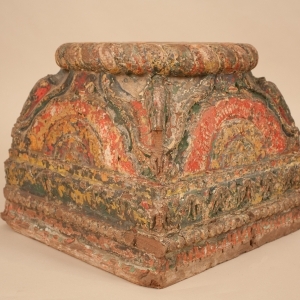 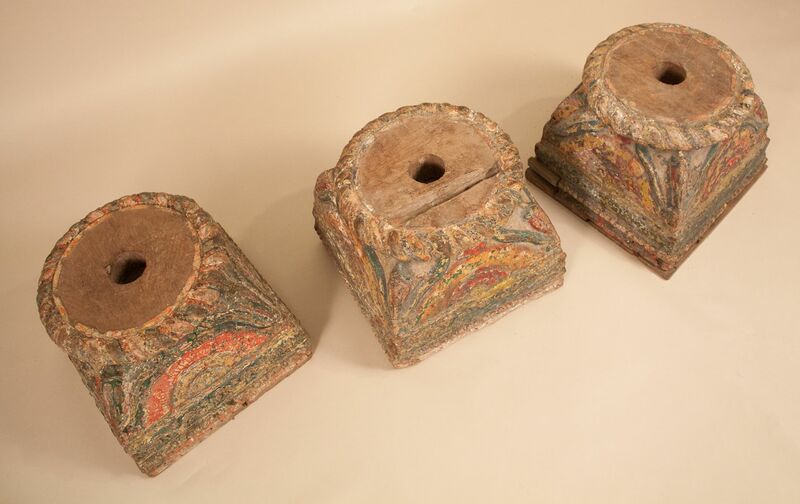 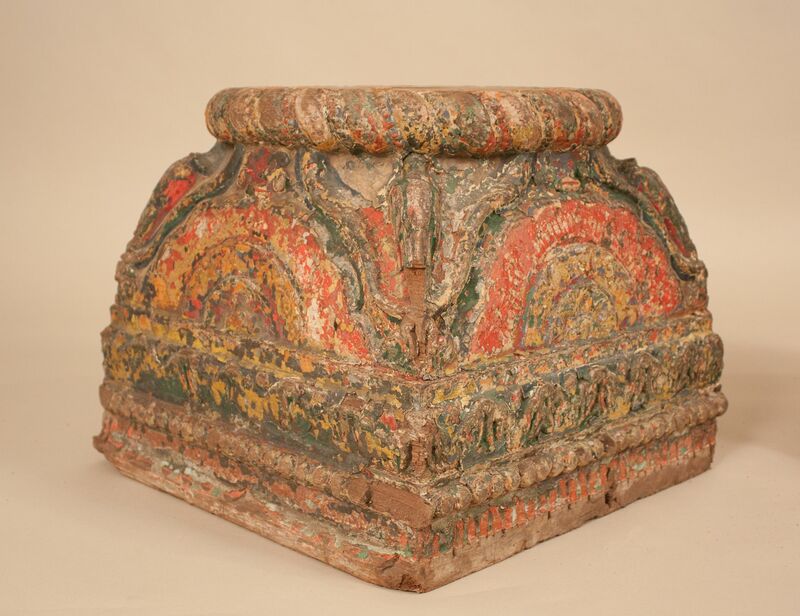 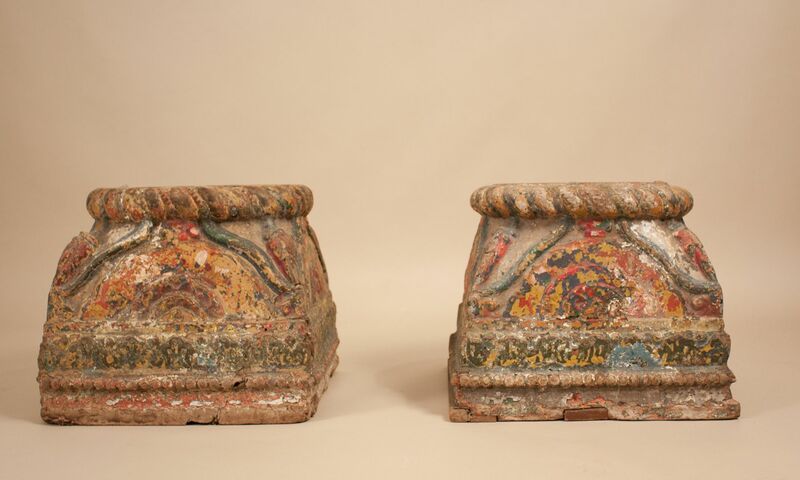 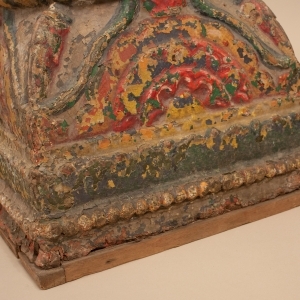 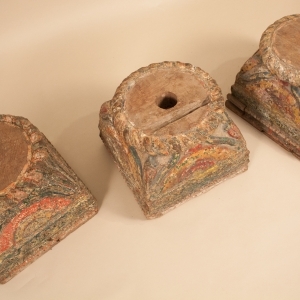 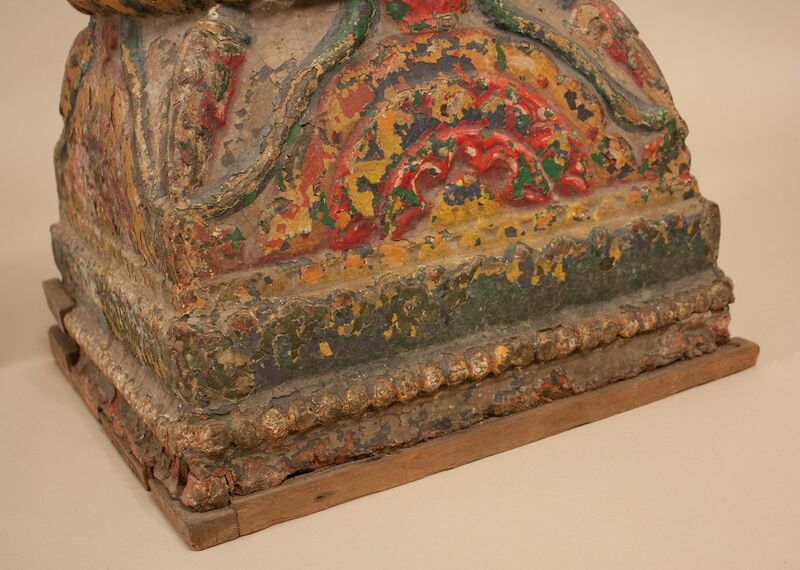 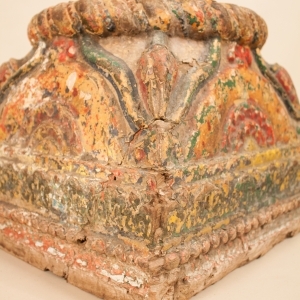 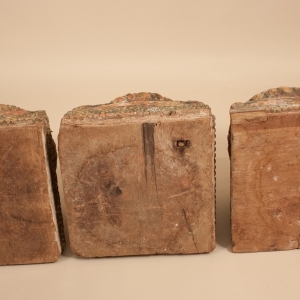 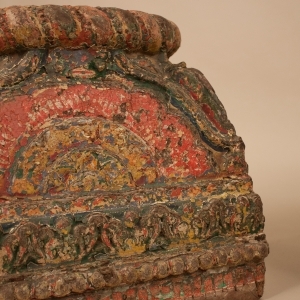 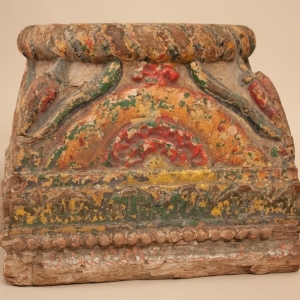 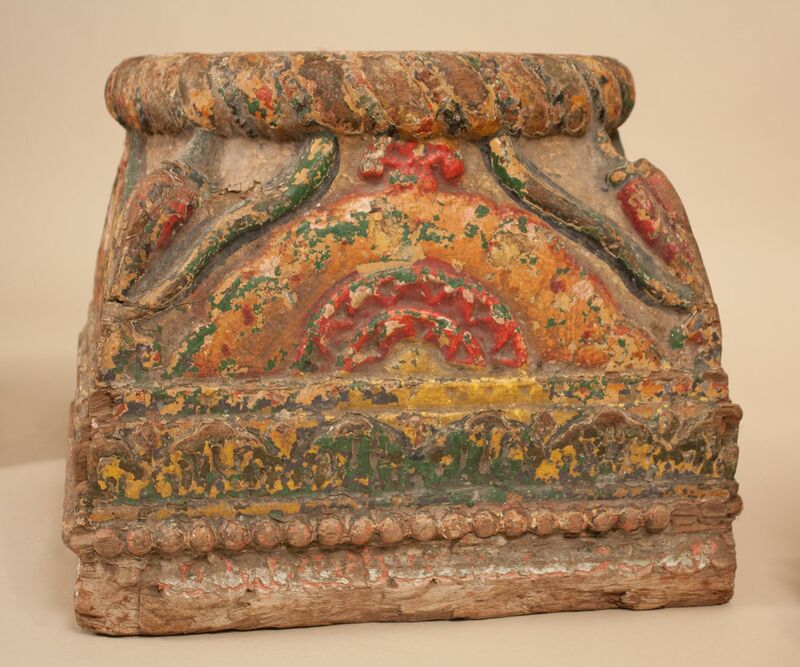 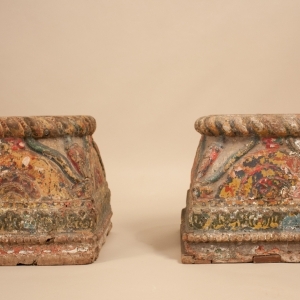 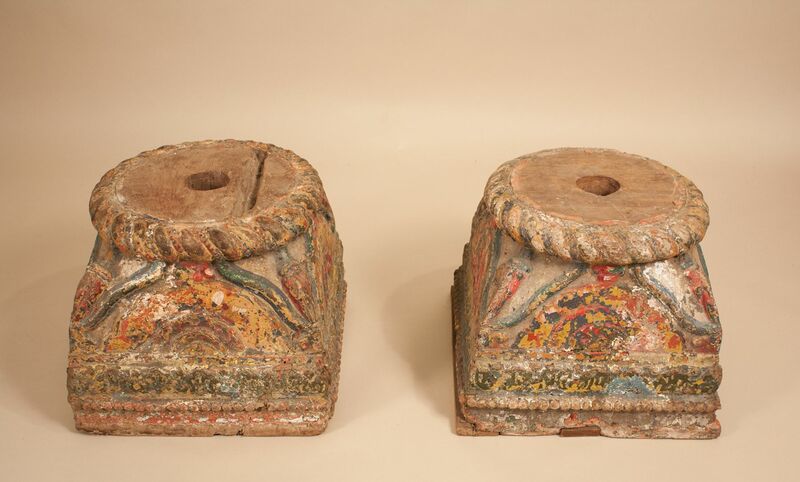 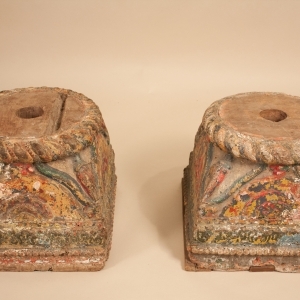 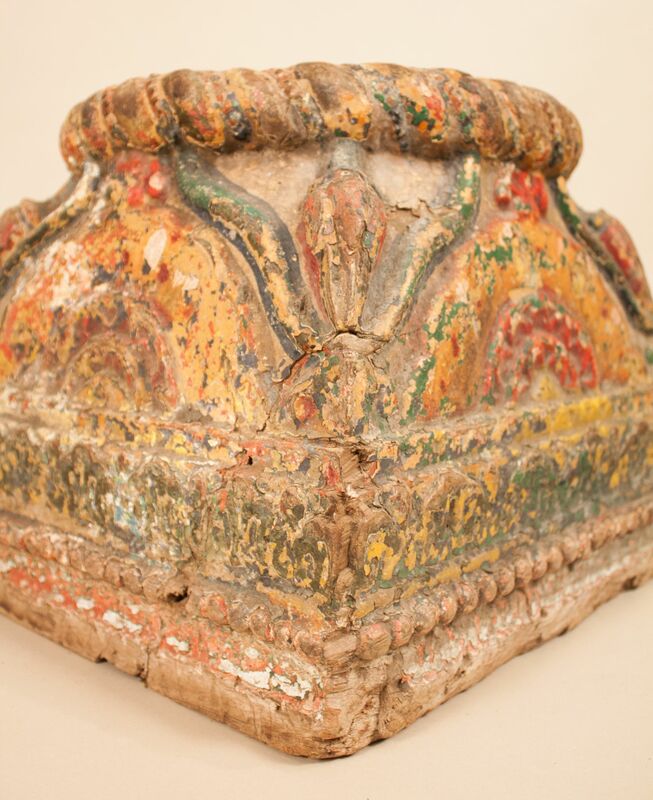 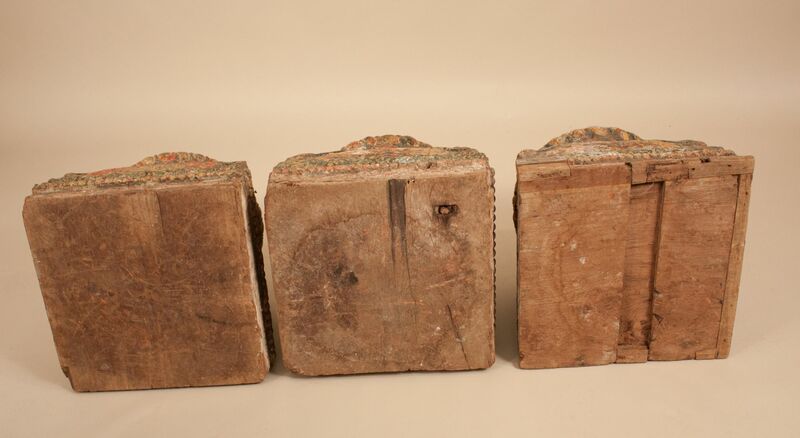 These exceptional circa 1830 bases are carved from teak wood and have many layers of old paint. 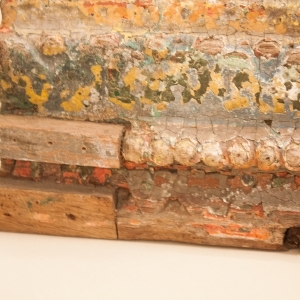 Note that small repairs were made to the wood some time ago, which is not uncommon for architectural artifiacts of this age. 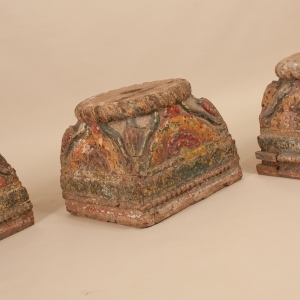 Available for purchase individually, as a pair, or as a set of three.